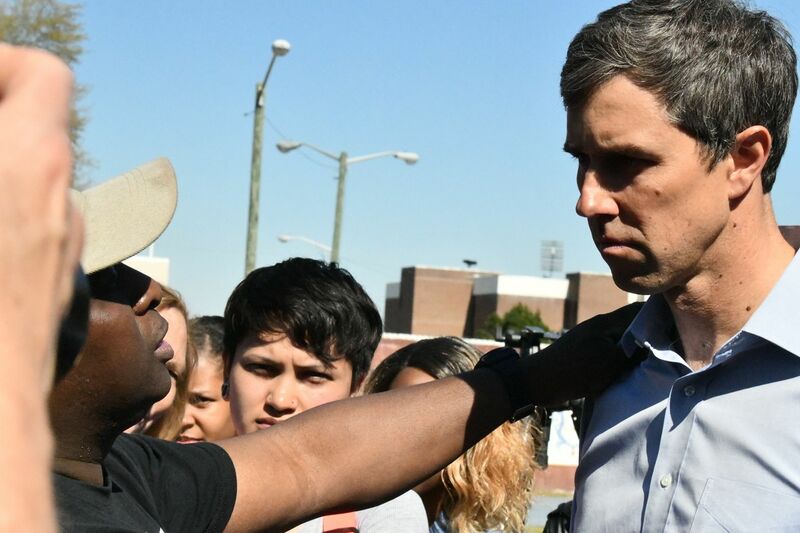 "Whether it's a war on drugs, the inability to obtain capital in a capitalist economy … all of it comes to a head, and so much of it causes people to lose their lives," O'Rourke said in answering a question about how to stop incidents of police violence against black suspects. "Yes, we need accountability for police officers." Earlier in the day, before a primarily white audience of several hundred at the University of South Carolina’s campus in Columbia, O’Rourke emphasized what he sees as inequality in the prosecution and imprisonment of minorities, also advocating for legalization of marijuana, a point he has made before. O’Rourke is spending Saturday morning in Charleston for a town hall hosted by State Sen. Marlon Kimpson. His South Carolina debut — and the swarm of media that has followed him through other early states including Iowa and New Hampshire — is sucking much of the political oxygen out of the atmosphere on a weekend when other members of the sprawling Democratic primary field are also visiting. New Jersey Sen. Cory Booker and South Bend, Ind., Mayor Pete Buttigieg also have several events in the state on Saturday.